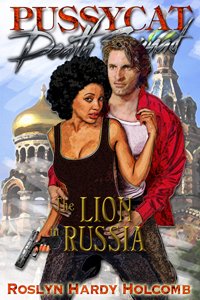 Just in Time for #AReBlast Brand New Review of The Lion in Russia. YAY! All my books are 25% off so don’t miss out. That means you can get THE WHOLE PUSSYCAT DEATH SQUAD SERIES for less than $10!!! Exciting adventures, perfect for a beach read. Or better yet, staying at home under the AC with a cool (adult) popsicle.